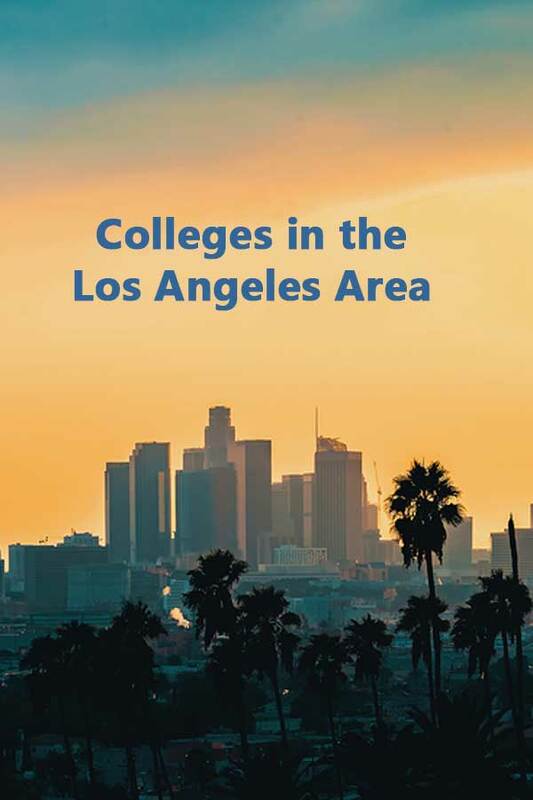 I’m pretty sure the number of students who would want to attend college close to beaches and mountains and with sunny weather outnumbers those that don’t which is why many look for colleges in Los Angeles. With the area’s entertainment industry, international business connections, and tech development, Los Angeles has more than just its climate and geography to appeal to students. Maybe that’s why there are 49 colleges in the greater Los Angeles area (Combined Statistical Area) with 14 of them accepting at least 50% of students while having at least a 50% graduation rate qualifying them as 50-50 schools. Of the 14 50-50 colleges in Los Angeles, only three are public institutions although there are 16 in the area. The low college acceptance rates keep 4 of them off of the list. All but four of the schools are primarily residential. They range in size from 981 full-time undergraduates to over 21,000. The lowest 75th% SAT score was 1120 with the highest at 1360. For the ACT, the numbers were 21 and 31 respectively. Only three of the 50-50 colleges in Los Angeles are some form of test optional and only two have Phi Beta Kappa chapters. One school, Mount Saint Mary’s University is a women’s only institution. Two, Whittier and Concordia, have a higher than average percentage of freshman registered with the disabilities office. If you know anything about the basics of supply and demand, you’re probably prepared for the costs of attending college in Los Angeles. All but three have sticker prices over $50,000, 6 are over $60,000. That includes the total cost to out-of-state students for UC Riverside. Only one private institution was under $50,000 a year. In case you’re thinking that financial aid will sufficiently bring the costs down, that’s not the case for all schools. While six of the private colleges have average net prices below $30,000, three have averages over $40,000. Nor is this a case where the colleges are directing most of institutional resources to need-based aid. Two of the colleges have average net prices for the lowest income category at over $30,000 and the third wasn’t far behind. While it’s possible to get significant merit aid from some of these colleges, it’s not very likely. The following table list 50-50 Colleges in the Los Angeles CSA area. As usual, the 4-year graduation rate is used for private schools and the 5-year rate for public. The DIYCollegeRankings spreadsheet lists this information and much more for all Los Angeles area schools.